How to disable low disk space warning? 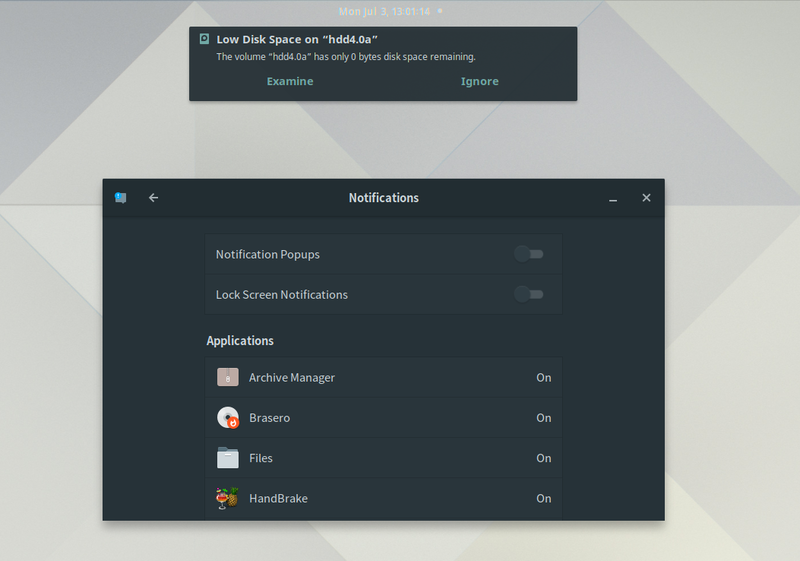 I have Antergos with Gnome 3.24 running on my computer. At startup it always shows a notification of low disk space in one of my hard drive. I know the space is low, but since it is a data drive, I actually don’t have any problem with it. But it is pretty annoying that I have to close this notification at every system startup. I have googled this issue and found some solutions from people running Gnome in Ubuntu. But those methods seemed not working in Arch. Could anyone give me a hint? 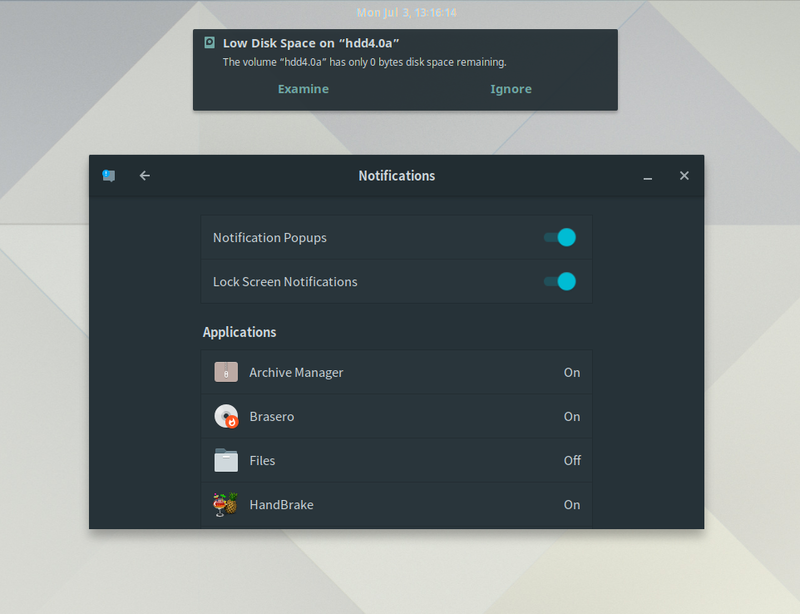 The easiest way is to simply disable notifications for the file manager in Gnome. To do so, open Settings and then “Notifications”. Under that, scroll down to “files” and turn the switch to “off”. @Keegan Thank you for the hint. While disabling the notification completely would be a quick fix, I do want to keep this function intact. In some cases, like converting a large video or making a disk rip, it would be really helpful to get notified as soon as the job is finished. @deadite66 Yes, it is indeed a large ext4 partition. However, I have no intention to make more free space out of it and just want to keep it full. It may sound weird, but what I have here is that several hard drives get combined with mhddfs, so that they appear to be a single large drive. New files will be dynamically allocated to disks where there is free space. So I have no problem with one or some of the drives being completely full. But I do have a problem with the low disk notification, because firstly, I am fully aware of it, secondly I don‘t need or want to deal with it. The utility which keep giving out this notification seems to be the Disk Usage Analyzer in Gnome. I could not find any preference or setting options in this software. Maybe I just overlooked something? Sorry, I do not know how to really help any further . @Keegan I would like to briefly go back to your suggestion of disabling the notification. I tried it in hope of having a temporary solution. But to my surprise, even that didn’t work. I tried to either disable file notification or all popups. 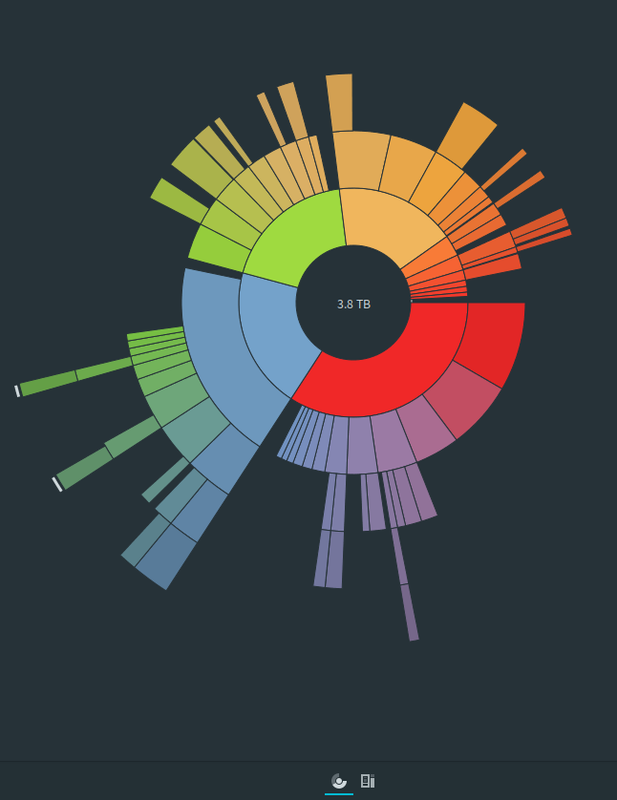 But in both cases the low disk notification still persists. Any suggestion? I have no idea. I really thought that would work! Here I would like to briefly report my temporary workaround.